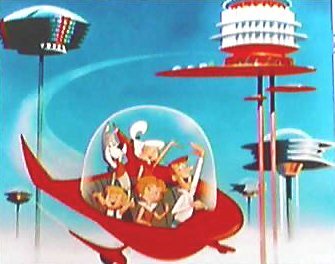 As the Skytrain rolled past the 1960's concrete towers near Lougheed Mall I started thinking about how these buildings were the inspiration for the apartments-on-stalks in the Jetsons. I am a strange man. I've kept, with an eye to making some kind of artwork, every ID, credit, membership, bank, etc. card I have ever had since high school. This image is made from my student-ID card and drivers-licence photos from 1983 through 2003. I feel like I drank a pint of gin, smoked half a pack of cigarettes, and stayed up until 3 a.m. last night - only I didn't. I just caught another bug on the moble petri-dish that is public transit. I swear I am going to start wearing NBC gear or a hazmat bunny-suit during my commute. That or buy a car. Proles, plebs and petit-bourgeios... unwashed masses, indeed. "For safey reasons, bicycles are not allowed to exit Granville Station at anytime"
Is that any time soon?